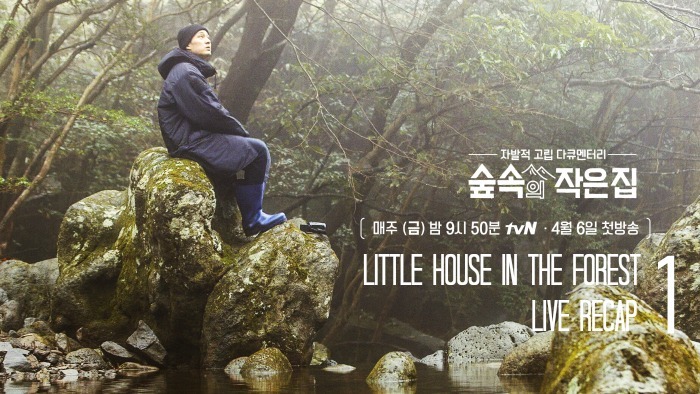 We don’t know what to expect with the variety show Little House in the Forest. It kind of seems like Hyori’s Bed and Breakfast, but with only one guest and no owners. So there should be a lot of quiet moments, and lot of figuring-things-out moments, and a lot of the main person talking to themselves, I guess? I am intrigued by this because Na PD is the head of this show and his track record is amazing. I am also challenging myself to describe on-the-spot scenery which will hopefully improve once season one ends. Oh, and I like So Ji-sub. VO – We are busy, everytime of the day. The same sites. A lot of things to do. A lot of messages accumulating. At night of course, it is the same. A lot of people, do you think you want to get out of it? Caption: This program is a report about happiness. Lot of scenes of busy city life in Korea and then the screen goes to black. Fade in to a very peaceful bubbling creek. VO – The forest on a fine day. Scenes of a very quiet forest. The trees, the water run off, grass, the sky. VO – forest friends are all peaceful today also. Scenes of a lady bug walking on a tree. VO – in this forest, there is a tiny house. SH – It’s working….I came here to spend some alone time. First of all….I will show my house. We have big windows, nice sunshine and the other side is where I will spend my time. Well, um, tiny and cute. Tiny house in a forest. Oh, don’t open, don’t open. Well, i will give you a little tour of the hosue. This is a table were I can enjoy the sunshine, eat, drink, and read books. When I don’t use it then I can press a button and fold it away. Cute right? One of the things I like the most is this fireplace, it is so cute right? I am going to cook goguma and put a tea pot on it. This thing right here looks like a table, but it is a chair. Big chair and small chair. There is no space to put things so it is a nice storage area. Here is the bedroom, it is cozy right? I can see stars at night and I will wake up with the sun….and….the special thing to note is that there are no public utilities like electricity or gas. VO – No public utilities, you have to do everything by yourself. verything we enjoy and make out life more comfortable, also makes us tired (the speed of it). We are going to live a slower life. SH – Instead of public water, this is our water. I have to use it to clean and I have to be very conservative. This is very precious water…..this is my plumbing, this ice box is my refrigerator. it is super simple. Water for cooking and a little burner. I only have one can so I have to be very conservative with the gas. I told you guys that I have no public electricity. But how do I have electricity? SH – look at the top of my house, it is small solar panel, but it generates enough electric power. I will go to my car to pick up my stuff. I will go get my stuff. She runs to her car and runs back to the little house. SH – if I knew it was a street like this, then I shouldn’t have brought my luggage like this. I am already tired. She is breathing so hard right now. SH – I am out of breath already. Two nights and three days, why did I bring so many things? VO – While she is explaining her luggage, on a differnt day, differnt location we have another subject visit a tuny house in the forest. A car is driving up a road. It is raining and very misty as well. This person is So Ji-sub. The camera man tells him to walk 50 meters and he will find the house. SJS – I am So Ji-sub, The weather is super misty and rainy, I can’t see anything in front of me. I don’t know if I am going in the right direction. He keeps walking but he is looking around as if he is not sure where he is going. SJS – Ah, I see something over there. VO – The second tiny house is hidden in the mist. This is the hosue for subject B. He walks up to it and we hear him breathing pretty hard. We go inside and the house is super adorable on the inside, it looks a little better that PSH’s house but both of them are cute. SJS is wearing all black and starts to take off his bag and jacket. VO – Subject B looks around the hosue first. He lays his jacket on a table and then sits at the window. SJS – I like everything, the restroom is outside. It is bigger than what I expected. SJS takes the camera and shows us around to the fireplace and forewood and the sink and cooler. he even shows us a laptop. VO – So what do you need this laptop for? Of course, A has the same laptop. This is where you can communicate with the happiness center. From now on, they will do their experiments starting with the ringing sound. We see SJS and PSH hearing a rind and sitting to see the computer. They are given experiments and have to accomplish them. Take a selfie with a turkey, put a nametag on something. These are like their missions of the day. VO – They need to try various experiments that will make them happy. Sometimes it will fail, sometimes it will he hard, but don’t be discouraged. From now on, we will have a trip to find happiness with subject A and B. We start with PSH, she shows us what she packed for the trip. She has a lot of things. But SJS only brought a tiny backpack, he has nothing to unpack, but he does try to organize the bag a little bit. SJS – When I was little, I was on a team. We did a lot of over night trips, that is why I packed only a few clothes. So I only brought one clothes and I just try to be conservative. SJS will spend one night and two days. PSH – When I said I was visiting Jeju, I thought, what should I cook with all the air, it was a happy thought. Wow, she brought a lot of food. Rice, ground meat, fish, vegetables, tofu. She packed soo much food and it is making me hungry. It looks like she filled up her little fridge and ran out of room. PSH – I can’t measure how to make one serving so when I make it is is usually 2-3 servings and freeze the leftovers. That is how single people live. She is still unpacking all the food. In the other site, SJS takes out all his food as well. He has meat, rice and that is pretty much it. SJS – I eat meat mostly, I try to eat protein more than carbohydrates …hahaha…. Just in case I have leftover. I like to eat everything in my own serving, I don’t like to throw away anything. We cut to SJS’s kicken the night before the shoot. He cuts up all his meat with a smiley face plate in the background. He salts it and ads pepper and then packs it away in an airtight container and uses a machine to vacuum seal it. (his kitchen is gorgeous). SJS has 3 serving for one night and 2 days. He unpacks the rest of his luggage. 4 books and e book reader. We cut back to Sunject A, she heard a Ding dong on the computer. SJS heard the same ding dong. First happiness test: Minimalism Game. Day 1: Take pictures of what you throw away and put it on social network. People only use 20% of their belongings so why do we have so much stuff. Minimalism is throwing away all your things that you don’t need. Do you think your life will be heavier or lighter. PSH – first happiness eperiment is minimalism. Caption: You have to return everything excpet needed thing. So it looks like PSH has to give a lot of things back to the happiness center. SJS looks through all his things as well. He puts the bag outside and keeps his cell phone and everything else. But it is a bit harder for PSH because she brought so much stuff. PSH – take everything out except unneccesary things? But I mneed everything. Can I make them smaller? A variety of choices but a smaller amount? HC – Based on your conciounce. PSH – I don’t have any conciounce when it comes to eating. She goes outside and starts to think about putting her apples outside. She picks on for breakfast and one for dinner. She will give the rest of them back. She goes through her leeks and thinks that she brought too much. She tries to decide how many leeks to remove. She grabs a handful and thinks that should he okay. the rest go out. Then she thinks about the onions. She can’t throw away the onions. Yogurts…maybe she will eat them all. She goes through the rest and removes what she thinks she might not need and then she tells the computer that she removed somethings. HP asks her if she needs that many clothes. She laughs and checks her clothes. She thinks she needs clothes to go home. PSH – Take this take this….take everything….I never experienced someone taking my clothes. HC: we will pick it up. PSH – I thought it was too much, but maybe it is good to return it before I make too much food trash. At home I buy a lot of t-shirts because my skin is sensitive. SJS – It was so easy, i didn’t bring anything, haha. I don’t have to much that is precious to me. I try not to make any routines. SJS continues cleaning and working. he looks at the screen and winds a radio perhaps? It is a self charging radio flashlight and alarm. he said he bought it for the trip only. He looks at something and then looks outside. But then it looks like he has given up on whatever he was thinking about. We cut back to PSH’s house. She threw away a lot, but she still has a lot of things to organize. It is dinnertime soon. They have new rice and only one side dish. Kimchi is a side dish. So she has to pick the side dish. The voice over explains that we eat a lot of food. But what if we only eat one side dish? Maybe we will focus on that one thing more. Maybe that is good enough for the day. The second experiment is rice and only one side dish. SJS is already eating a banana as he reads this second Mission. The caption says that he will wait until he gets hungry. He walks around the house and tries to listen to the radio again, but he needs to find a good signal. The person on the radio talks about tea. But it must not interest him because he turns it off an then grabs a book. He reads the book “Death is Nothing” It has a strange title. it is from a Japanese writer who talked about her cancer. She died in 2017 and wrote about dying gracefully. It is windy and rainy outside. he sits and listens to it. SJS – I live in the city so there is a lot of noise, but here there is rain, birds, so it feels good. Have you heard ASMR. Yes, when I was on a diet I watched people eating a lot adn some people ate with only sound. It comforts me. Someone eats something and we hear her eat. SJS – Why do people listen to ASMR? You only listen to one sound and I think people like that. It is hard to listen to only one sound. VO – Like writing sounds….Playing with toys….and everyone loves the raining forest sound. the camera shows us an image of deer eating grass in the forest while it rains. Meanwhile, the person talking wonders when SJS will start eating. Elsewhere, PSH has already started cooking. Her menu is beef radish soup. She says this is a good menu for a day like today. The production team shows us exactly how to make the soup. you fry the meat in sesame oil and then add the radish and fry it again. After frying it for a little bit, you add water and boil it. When it is boiling, you add the soy sauce. then you add minced garlic and spring onion. PSH says she has no kimchi so she is adding a lot of hot pepper. This is her first meal. She covers it and lets it cook a little bit more. PSH – I was so afraid of failing with my rice, but it is good. She plays some music while she waites for her soup and dancers to it as she waites with nothing to do. Meanwhile, SJS is finally making some rice. he cooks the rice in the little pot. But what will be his side dish? He starts to cook asparagus and beef in a skillet and talks to the camera. He says he feels like his first meal is his last meal. he finishes cooking and cleans his mess. Then he sets up his meal and it looks really good. He even makes his table setting nice. VO – what is it like eating with only one dish? Enjoy the rice taste and he is eating his meat. SJS – I was in a team when I was young so I know how precious one meal is and how I don’t have a chance to eat at all, so I have to do my best for one meal. PSH’s meal is ready and it also looks really good. Simple and good. She starts to eat it and says that it tastes good and it was a good choice to put pepper. Perhaps she likes spicy soup. PSH – The texture is good. it is a really good meal for fall foliage. I usually don’t put hot peppers. But I only have one side so I added hot peppers. SJS – I only eat meat and less carbs so my mission was white rice. ( he hasn’t had rice in awhile). PSH doesn’t look that happy with her meal but she says it is really good. I think she would be a lot happier with more food though. SJS eats all the sticky rice in the side of the bowl. VO – Two people finish their new rice with one side dish, are they a little happier? PSH says that she had two servings of soup, she is so full. SJS says that he finished everything and shows us his bowl. PSH – To be happier, you should eat with kimchi, haha, but actually it was really good. VO – the cold comes a lot quicker in the forest. PSH prepares for the night. PSH starts to try and cut firewood, but it looks like ti is pretty hard to cut the wood. She is trying her hardest though. She asks it, why are you so stubborn! In the city, she would just press a button, it is simple, but the energy doesn’t come easily. The energy changes its form, but the amount is the same. the energy is produced with a lot of processing. What about in the forest? In the forest you have to get energy by yourself, there are no free things. Cut back to PSH making fire with her own wood. She looks pretty happy as she stokes it and tells the camera that it will give her warmth for the night. SJS watches his fire in the firepit for awhile. PSH does the same thing. PSH – it is fun to see the fire burning. I can’t get out of my own ASMR like that. We see the real fire that SJS made and the camera just watches it. it is a pretty peaceful sound as we hear the wood burning and popping. They also show us A’s firepit. the sounds are different in both firepits, can you hear that? This one has small tree branches and firewood. Why do people look at campfires? SJS – At home I spend a lot of time not thinking but I still can’t empty my mind because I am at home and I still have a lot of stress about work. Here, I like it. PSH makes a mat on the ground and starts to read. 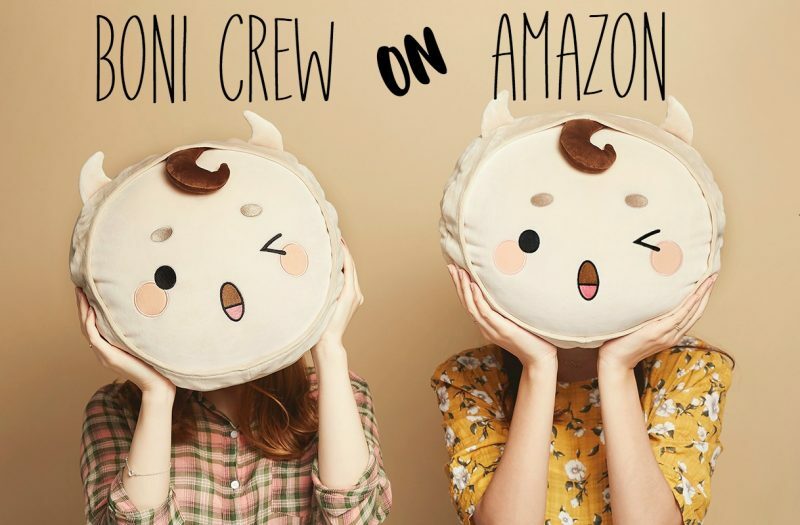 I love her pillow. the scene is peaceful and quiet at PSH’s house, she falls asleep while reading. This is her first break since she came there. Time in the mountains moves slowly. Cut to nighttime. PSH makes a simple dinner with her leftover lunch. Beef and kimchi with rice. PSH – Wow, it is already dark, I can’t see anything. SJS’s dinner is a banana (lol). he decided to eat a simple dinner. SJS – To me, whatever I eat, I eat happily. the banana was so delicious, it was the best ever. Meanwhile PSH looks spooked by all the sounds of the night. She looks around like someone might be behind her and then settles into eating again. Night has come to the forest. It is the first night and is very dark outside. This time in the city has a lot of light. it is full of light for people. Cut back to SJS, it is still coudy and rainy there. he sits and tries to read his book again. SJS – I will make a little hanger for my towel. SJS drills a bolt to make a hanger for his towel. then he brushes his teeth and will go to bed. he uses a powder toothpaste to brush his teeth. SJS – I heard that I was coming to the forest and i ddin’t want to hurt nature so instead of toothpaste I brought salt. Wow, so he is brushing his teeth with salt. He stokes the first a little bit more and then gets ready for bed. At PSH’s place, she is also preparing to sleep. She cleans her face and does her nightly routine. She also has a variety of songs she plays while she does all these activities. Need to run over to Pretty Noona, will fill in the rest later! Finally she finishes and puts on her large coat for bed. She turns off all of the lights. Two hours ago, she packed up her tool box and found something. She looks up at the stars and thinks it is so pretty. PSH – I like to see the stars. I don’t read the star map, but one of the reasons to go on a trip is to watch a lot of stars. So I walked all the way over there to see the sky hidden by the trees, I was super happy to see them. The night sky, can you see the pictures when you look at the sky? Rabbit. Big dog. PDH – I was very happy, it was so good. You can’t see that in Seoul. In the city, with smoke and lights, it is hard to see any stars. PSH sits on the floor by the fire as she watches something on the computer. SJS climbs into his bed for the night and says that he kind of enjoyed his first day. PSH stays up pretty late. The new homework is to open your eyes with the sun. But she is fast asleep in her loft a the sun already rises. VO – How do you wake up in the morning, to an alarm, or the sound of the city? When was the last time you woke up with the sun rise? So what kind of morning did they have in the mountain. What was the difference? The mountain is very lively as well with lots of noises of animals around. PSH finally gets up. PSH – When the sun came into the window, I thought I had to wake up with it. I woke up in the middle of the night once, it was very very dark. No sun came through my window so I fell asleep again. 2 Hours later, she finally wakes up. VO – A was sad because she realied she failed the experiment. PSH goes downstairs and brushes her teeth. She says that it is so cold and runs outside in her heavy coat. She grabs some branches for firewood and goes back inside to stoke the fire. SJS wakes up with a face mask on. He does a few stretches and puts on his baseball hat. SJS – I think I slept well, I woke up a few times, but when I woke up, I felt good. I heard the bird sound. I haven’t heard birds in a very long time. It was just sound, but later I realized it. PSH – I usually wake up with construction sound. SJS – Usually car sounds. My house is near the street so I hear a lot of car noise. This is good. VO – B had a pleasant morning, he went out with his towel. it is super misty in front of his house. He washes his face outside for 13 seconds then puts his baseball cap back on. Then he goes inside and brushes his teeth with the salt again. VO – B’s water didn’t go down much at all. What about A? PSH – I am going to do the dishes that I soaked in baking soda. VO – A had to use water a lot. PSH – I used all the water to wash my dishes and the food. I used a little to wash myself and brush my teeth, but I used most of it to wash the dishes. VO – Water…water is conveniently supplied with the water system. you can change the tempersture and the speed. Withthe public water system, we do everything. We make food, cook, and everything with it. This convenient system. The subjects are living off grid without public water. SJS – At home I use a lot of water. Probably ten times more than here. I leave the water on a lot. PSH – I use a lot of water for cooking and dishes. At home I use warm water for the dishes so I can remove all the oils. When my dishes were dry, I saw baking soda marks, so it made me sad. PSH tries to chop wood outside. But she sighs and goes inside and drinks some water. I guess she got some new water? At SJS’s place, he spends a quiet morning with a book. The computer ding dongs and he goes to check his mission for the morning. But he doesn’t look that happy about it. He checks the laptop. VO – What kind of experiment came? VO – What are the sounds surrounding you? Car sound? Work sound? Construction sound? People sound? Or everything combined? Caption: When was your last time listening to one sound? have you thought about the sound surrounding you? SJS – I never paid attention to it. It is hard listening to one sound, so I dont’ remember the background noise. VO – there is a lot of sound surrounding us, so the sounds are also mixed. But what are the sounds surrounding this little house? Today he will find one sound. maybe this will make B’s ears a little happier. SJS – Where do I go to? So I need to find it myself right? …… No answer. SJS stands up and thinks for a moment. He thinks that he will go out and find it by himself. The VO says that this is a good experiment for B becasue he always stays inside the house. SJS goes outside, it is Misty and he can’t see that far, but he says he likes this kind of weather. SJS – When the weather is nice…this is the first time walking alone on a mountain somewhere….I can’t see anything so I can’t find where I should go. I hear the sound of water though. He walks toward the sound of water. SJS – I think I am almost there, maybe it is somewhere in front of me? Ah…it is right over there. He walks down the tiny slope to the water. He finds a small creek. SJS – I found it. VO – B found the stream that only has the sound of the stream. SJS – I found it, my mission is recording the sound so I will record the sound. I will go a little closer. He walks precariously closer to the stream and tries to find the best spot. it is a very rocky stream, so he has to be careful where he walks. he finally settles on one area and films himself. SJS – It is a short time, but it is a nice happy sound so it is nice to listen to it all together. VO – The happy sound that B recorded, would you like to listen to it together? they play the sound for us and they also show us some very nice videos of the bubbling brook as the water over and through the rocks. SJS – there isn’t a good view, so I wondered if I could find it right away, but the sound was clearer than I expected so it was easier to find. I focused on my ears and I could find the streaming sound easily. I am happy. the happiest thing is not hearing city noise. here I just hear nice sounds so I don’t feel stressed. Caption: This is the sound combination of a few days of rain and the forest noise together. The rain water gathers together, falls, and gathers together again. Caption: This stream, with good sound, appears momentarily and disappears quickly. the camera lingers on the creek and we hear all the noises that the creek makes. Caption: When you focus and listen to it, then there is some happiness that you can aquire. Mission: Our happiness experiment really starts next time. Caption: Your meal time is three hours. PSJ – I will cook for three hours, does that include the dishes? I don’t know if I can use all that time. SJS – It was super happy, the sound and the smell and the feel, and personally, I really liked the rain. Caption: make the water dripping off the pine leaves, yours. Caption: What we missed, your name is? PSH – Your name is Mindulae (Dandelion), I want to blow the Mindulae seeds. SJS – Third day, experiment, I finished everything and I am going to bed, what kind of thing will happen tomorrow? I am excited. See you tomorrow. Previous Post Little House in the Forest Variety Show Premier Watch! Thank you so much for the recap! It truly gave me a better understanding of everything that happened in this first episode of Little in the Forest. Thank you! It’s hard finding recaps for k variety these days and I do love PD Na!